This is usually me - but not this year! FOUR I never thought it would be SO difficult to plan one single day in a month that works for 6 people to all get together but trying to find a night for Wine Club that works for every single person is almost a full time job. We're completely skipping over November's Wine Club and trying to plan December's (my month to host) has been a complete gong show. Why is adult life so busy?! FIVE Trying to ignore the leftover Halloween candy has not been going so well for me. At all. I've ate more chocolate (and I don't even like chocolate!) in the the last two weeks than in the last 5 years! Not even kidding. Yesterday I had to finally get it out of my sight - my nieces are really appreciating it and thanked me for giving them all the extra candy. 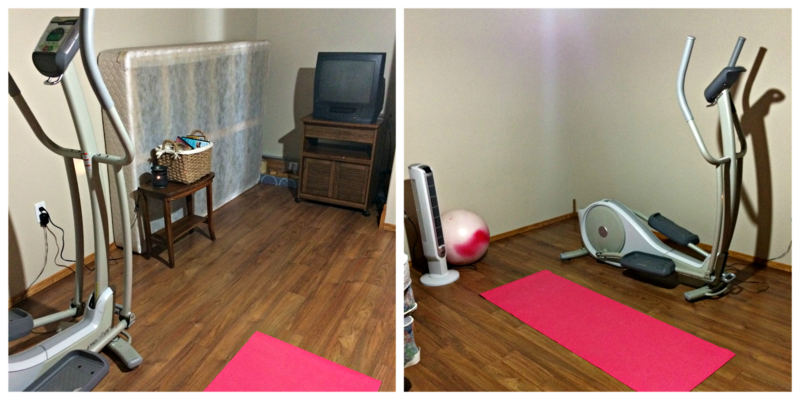 I was off work yesterday and my motivation is still going strong so I completely cleaned out one of the spare bedrooms and turned it into my workout space. I moved my elliptical in there, set up my yoga mat, and moved my old tv into the room as well as my basket of Jillian Michaels dvds and my hand weights. My treadmill wouldn't fit through the doors (boooo) so its still in the family room downstairs but I'm excited to start using the space and get back at it! It's not fancy but it works! What are YOUR plans for Friday the 13th? 13 is my favorite number too. How random. I think it is because of the letter K, I always the 13th student. I am jealous of your holiday chopping, I am so not there yet. I am working on it though. And don't worry, you will be getting a Christmas card with all of your other snail mail. Hahahahaha! 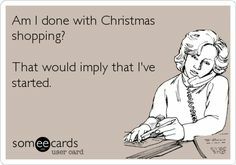 Wow, I'm so impressed with you being 25 percent done with your Christmas shopping! I love getting Christmas cards too! Christmas card with Kricket - YES! I bought my first couple of Christmas Gifts today. I figure I'll be shopping on Christmas Eve at the rate I'm going!